Through her engagement in the local food movement in Montreal and at Concordia University, Robyn became convinced that focusing on building resilient food systems is the key to engaging society in ensuring a liveable future. For the past 8 years she has been dedicated to learning and engaging in all aspects of building sustainable food systems from ecological, social and economic perspectives, at both practical and theoretical levels. She is committed to building networks and communities of knowledge and practice through her role as the general manager of the HFC, and is excited about the potentials for a more resilient Hudson. 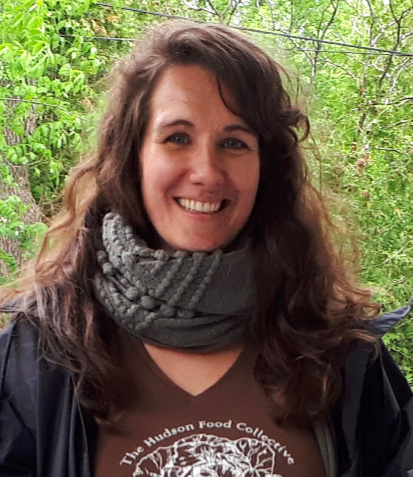 Rébecca Phaneuf-Thibault will take on the role of the agricultural manager after graduating from professional agronomy with a specialization in ecological agriculture at McGill University. 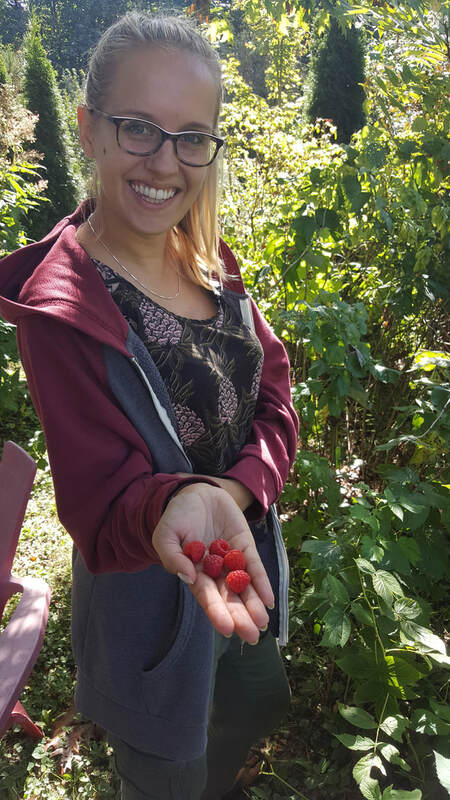 She has been working on a community agriculture project for the MRC of Argenteuil during this 2016 growing season, feeding 500 low-income families. She co-managed the student ecological farm at McGill the 2 seasons prior and has worked on farms in the Maritimes before that. Her love for small-scale organic vegetable farming is equalled with her burning desire to share it with anyone interested or curious! She firmly believes in the regenerative and healing powers of the experience on the farm on all levels. The Hudson Food Collective's vision and mission, to share knowledge around and come together over food, makes them a really good match! She's so thrilled for the opportunity to establish and co-manage the community farm and be apart of the this wonderful collective of like-minded folks! Loïc (B.A. Urban Studies, Concordia University) is the community and logistics manager of the farm. 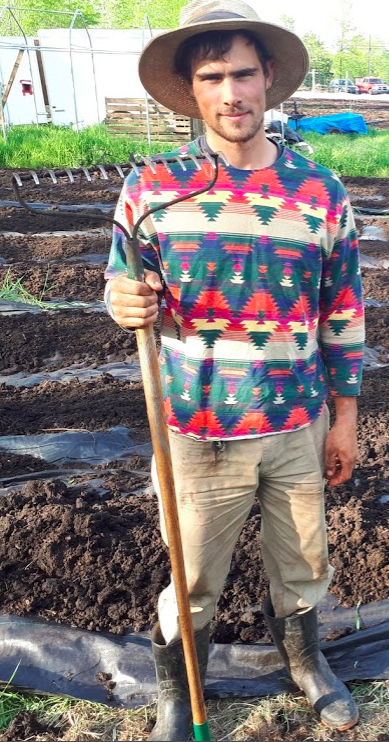 He has gained valuable experience relevant to community projects through his w​ork with the Concordia Food Coalition, Hudson Food Collective, Santropol Roulant and different experiences on farms and urban agriculture initiatives since 2012. He has an overflowing hunger for making the connection between food and all aspects of life; be it with culture, economics, or the environment. He believes in the potential of the HFC to engage these issues and seeks to do the same with his involvement. Loïc's passion for food begins and ends with celebration; best shared with others - any time, any place! Veteran forager Vanessa Waters shares her knowledge of foraging as a means of empowerment to combat a scarcity mindset. She looks at foraging as a collaborative activity that requires a deep connection to place. Vanessa is also an artist, blogger and multi-passionate entrepreneur who enjoys participating in craft fairs and farmer's markets. She believes in the beauty and power of the human spirit. Vanessa volunteers at a female sexual assault intervention centre in the West Island, is a certified reiki practitioner, and collaborator in the creation of Women’s Workshop Weekend. Every fall she leads a foraging tour in collaboration with artist Natalie Doonan founder of le Sensorium funded by the Concordia Sustainability Action Fund. Born and raised in Saint-Lazare, Sara grew up in the neighbourhood, attending the local schools, and submersing herself in the surrounding environment. Initially introduced to horticulture through a community service project, she has now gained over 8 years of greenhouse experience. She is a graduate of a double BA at Concordia University in School of Community and Public Affairs (SCPA) and Political Science. This is Sara's third year with the HFC and she hopes to continue to merge her interests of environmental sustainability, public communications and event management. Sara continues to be very actively involved in the organization on a volunteer basis. Jimmy had joined the Hudson Food Collective team as Projects Development Assistant for the 2017 season. He is a student in the Environmental Science program at Dawson College. Passionate about environmental issues and community involvement, Jimmy completed the Sustainable Campuses Initiative Internship with Dawson: a six-week internship that took him to Cuernavaca, Mexico with the goal of exchanging knowledge on sustainability between Dawson and the local institutions. He also regularly volunteered with Moisson Montréal for their Good Food Box program and as a composter during Dawson College’s compost pilot project last fall. ​ Jimmy loves being outdoors and is interested in subjects like Biology and Wildlife Conservation. He knows that everything in the environment is deeply interconnected and so he implicates himself in diversified projects and absorbs as much knowledge as he can along the way.